The voices do serve their purpose, though—whenever Donna hears them, she knows she’s in danger. So when they start yelling at the top of their proverbial lungs, it’s no surprise she and her best friend, Deke, end up narrowly escaping a zombie horde. Alone without their families, they take refuge at their high school with the super-helpful nerds, the bossy class president, and—best of all?—Liam, hottie extraordinaire and Donna’s long-time crush. When Liam is around, it’s easy to forget about the moaning zombies, her dad’s plight to reach them, and how weird Deke is suddenly acting toward her. 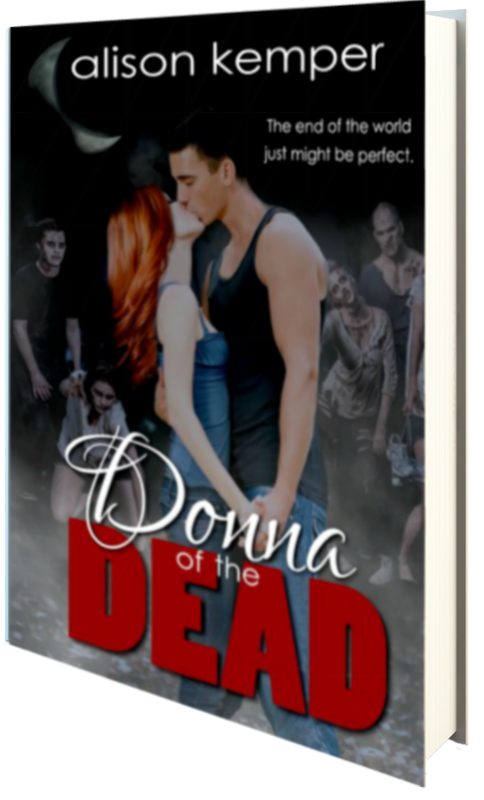 Her debut novel, Donna of the Dead, will be published by Entangled Teen in 2014 and followed by two companion books in the series. She loves to meet new people and talk books, so send her a friend request or connect with her on Twitter, Instagram, her blog or website.